I am a huge fan of the art trails (if that is the correct name for them) that pop up in our cities in the Summer. When I spotted that both Bath and Bristol had them going on this year (as well as a number of other cities), I knew the destination of a little adventure. The joy of Bath is that it is so close to Bristol so both cities can be visited easily. After a good night’s sleep at the IBIS Hotel at Temple Meads we set off early to beat some of the tourist crowd. Once we had refueled, we grabbed ourselves a map (you offer a donation) and carried on. Mr Bookwormandtheatremouse took control of the route we took. The best thing about these events is you see so much of the city without realising. It also introduces you to parts of the city that you would not normally visit. Bath is so beautiful that there is always something to catch your eye. We also took the chance to visit Bath Abbey, as we have never been before. You do have to pay an entry fee, which I know divides opinion – some say a donation would be better. But the important thing is that it supports the upkeep of important cultural sites. Bath Abbey is a beauty and oozes history, which is where my interest in such buildings lie. This was a brilliant day; my only disappointment was that you would have had to enter the Roman Baths to spot all the city centre owls. However, we managed over 50 of the city centre owls. A great day! Day two was all about Bristol and my birthday (woohoo!). Aardman Studios has its home in Bristol, so therefore it is also home to Wallace and Gromit. This is the second ‘Gromit Unleashed’ and it is in aid of Bristol Children’s Hospital. Our first stop was an amazing bakery, ‘Hart’s Bakery’, which is among the arches at Temple Meads Station. I do not think I have ever seen such a huge Almond Croissant. A croissant connoisseur Mr Bookwormandtheatremouse was in his element. Coffee was amazing too. Energised and ready to go, we started off on the harbourside trail, taking in the sites such as the SS Great Britain. What was lovely about this is not only were there statues to spot, but you have Wallace, Gromit and Feathers McGraw to look out for. Wallace is also always on a bench, which is great for photos and avoids the temptation for some to climb. Lunch break was a delicious birthday meal at Loch Fyne. The fish your way on the menu is perfect: pick your fish, sauce and sides – yummy! In the afternoon, we focused on the city trail. Again, you see parts of the city you would normally miss. By the end of the day, we had found all the Gromit Unleashed 2 statues in Bristol itself (minus the one in the M Shed exhibition hall). These trails were both brilliant fun and we can’t wait to see what next year brings. Have you completed any of the city trails this year? When Miss W suggested we had a girly city break to Antwerp I jumped at the chance. 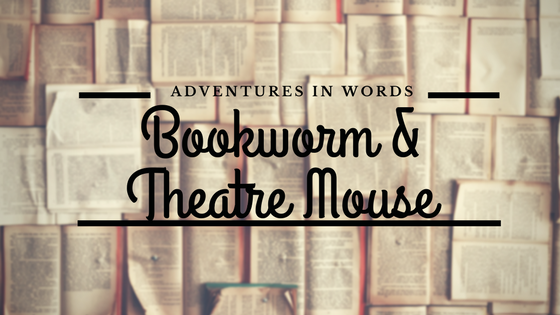 I absolutely love adventures with friends, and with Mr Bookwormandtheatremouse at work he was not going to miss me. Hehe! So, at the end of July we jumped on the ever so speedy Eurostar to Brussels, then changed onto a local train to Antwerp so our adventure could begin. We arrived on a beautiful sunny Tuesday afternoon to be greeted by the amazing Antwerp central station. It is absolutely stunning, fabulous architecture and a truly amazing atmosphere. The camera was straight out to try and snap the magnificence of the building. As you leave the station you realise how much it dominates the skyline and oozes stories of arrivals and departures. Miss W had found a great hotel, Hotel Rubens – Grote Markt, it was central but slightly off the tourist trail (only by metres) so was peaceful. It was gorgeous and we were lucky enough to have a courtyard view. At the corner of the courtyard was the oldest tower in Antwerp, which had carefully been incorporated into the architecture of the hotel. Afternoon one was all about taking in the beauty of the city and adopting the continental culture of eating and drinking al fresco. We enjoyed delicious open sandwiches (once we deciphered the menu), pizza and wine (not all at the same time I hasten to add). The simple joy of socialising in Antwerp was lovely to see and the slower pace of life was perfect for a chilled out city break. The real adventure began. After a delicious breakfast we walked to the Antwerp Zoo. This was a trip we thought would just fill a few hours but instead lasted all day. The zoo is set in wonderful gardens (which means you can’t walk on the grass) with benches placed all around to allow you to take in the views. The zoo is also bordered by Central Station which means you can appreciate it from another angle to the one you see on arrival. There is a great collections of animals and we enjoyed seeing them all, especially the rather elegant flamingos who greet you as you enter the zoo. We took a break for lunch at the zoo’s cafe. We each had a great Salmon and Courgette Quiche, made using puff pastry. It was packed full of flavour (and really put the British tourist food to shame). There were talks and so much great information signs – not in English – but we liked picking out the words we could understand and having a good guess at others (the pictures helped). Our evening consisted of amazing Belgian Waffles and crisp cold white wine at a fabulous Belgian bar with tables in the shadow of the Cathedral (all after a bit of a cultural stroll of the city). After a second epic breakfast (I promise that Miss W and I do not totally judge our trips on food) we decided to explore the city. Miss W took the lead and guided us, after a walk along the river, to the most stunning museum. ‘MAS’ is a beautiful, modern museum which tells the story of Antwerp but from the point of view of all the diverse cultures which make the city what it is. It shows how the rich tapestry of Antwerp has been and continues to be formed. The current promoted exhibition is ‘Celebration! Colourful rituals’ a wonderful guide to celebrations and festivals that mark life’s moments, not just in Antwerp but around the world. It is fascinating and you will come away having learnt something and realising how small the world is as we embrace all the different celebrations from the diverse cultures of all our countries. When you reach the top there are the most stunning views of the city and the surronding area. You can really appreciate what makes Antwerp what it is. After a delightful al fresco lunch of burgers, fries and pancakes (again – not all at the same time) we walked the zig-zag narrow streets back to the centre and visited the Cathedral. It makes a statement as all such buildings do. Towering over the two main squares, you can not avoid all its majestic glory. Inside it is beautiful, with stained glass windows and brilliant stone and wood work. There are currently some pieces of art on loan, with a religious theme, but they can be appreciated on all sorts of levels (the History Teacher in me was fascinated by the social commentary the paintings offered). After out very cultural and educational day, we spent our final evening very much like the one before: waffles and wine (although ice cream and wine for Miss W). So, if you fancy a great city break, Antwerp is a wonderful place to visit. We didn’t even cover all that the city had to offer and would happily go back. This summer, have you been on any adventures? So, I know that the novels of Dan Brown are not especially classic pieces of literature, but they are a little guilty pleasure of mine. They always seem to grab my attention, as they are set in cities with fascinating histories and mysteries. ‘Origin’ follows just this formula that I adore, and I was hooked from the word go. As the title suggests, Dan Brown tackles the difficult questions about the start and the end of the human race. Our setting is Spain, Bilbao and Barcelona, our adventure is fast paced and our enemy and ally would not be who we expect. Brown has clearly researched the ideas and the worlds that he places Langdon in to. Now, I do not claim to be an expert in the ideas that Brown shares in his novels, but he does create questions for you to ponder, either along with Professor Langdon or in your own time. The references to Spain’s difficult past under Franco have reminded me that this is something I should really learn more about. Sometimes we forget about the history of our neighbouring nations and how that shapes them. And, I would certainly like to visit La Sagrada Familia again, not having been since a hen do many years ago. However, this novel, as much as I enjoyed it, has not replaced ‘Angels and Demons’ in my affections as Langdon’s greatest adventure. Do you have a favourite Dan Brown novel? A good memoir is one you can relate to. Where you read some of the tales and they trigger some of your own memories. Now, don’t get me wrong, I do not expect to have the life of a celebrity or a historical figure, but when they talk about the real world you realise that everyone’s paths are not so different. Sue Perkins is probably most recently recognisable for hosting the real ‘Great British Bake Off’ (oooh yes I went there), and her memoir is just as real as she appears on TV. I was laughing from page one and reading snippets out to my poor holiday companion Miss W (who has read the book, so probably didn’t need to hear it at 10 o’clock at night). I could hear Sue’s voice telling the every tale and there was a really natural flow to the words. And, again, the tales told were honest and relateable. One anecdote about Granny Smith really struck a chord with me – reminding me of my very own family. However, Sue Perkins does not shy away from the darker side of life and some struggles, but it is all told so naturally and with no sugar coating, and no over-dramatic adjectives, that you simply quietly empathise and have a little think. Another reason I found reading this a joy is that this is the same copy read by ‘Hayley From Home‘ and ‘Adventures with One of Each‘, as we love to pass books along. So, thank you Sue for bringing us joy on TV (often with Mel) and sharing that little bit more with us too.